Ahh, roller hockey. While many purists immediately write off roller hockey (or dek hockey) as a joke and complete waste of time, I'm going to lean otherwise. It is true that roller hockey players are generally "behind the curve" when it comes to switching over to ice hockey. I've played roller hockey with a few "local legends" and, yeah, they've got some super impressive skills...skating, stickhandling, shooting, you name it. Not one of those legends ever played ice hockey...and though they won't admit it, it's because they're not even 4th line men's league players on the ice. They're liabilities. Total dusters. I've come to this conclusion based on the guys I've seen play mens league on ice wearing animal print roller hockey pants. Yeah, those guys stand out. No, not for their ability...but their goofy equipment. For whatever reason, the skills they use on the dek don't translate well to ice. On the other hand, I've also played roller hockey with guys that have played professional ice hockey. Guess what? After a five to ten minute adjustment period, they're just as nasty on wheels as they are on ice. Moreso, actually, as the talent level on wheels tends to be lower than it is on ice. The transistion from ice to roller is more fluid. Anyway, what I learned from my own transistion from ice to roller is that it's a different game. In ice hockey, during my life time, it's been mostly a team possession game -- dump and chase was what nearly every team I ever played with did regularly. Throw the puck up the boards into the zone and hope your far wing got to it first. Roller hockey, however, the puck (or ball) handler generally carries the ball into the zone rather than dump it. Dumping it just leads to turning it over -- puck possesion is king. In short, roller requires tons more individual possession. Tons. With that in mind, while I knew it could be a slight detriment to their skating stride and edges, I figured that roller hockey would help them immensely in their stick handling and all around comfort with the puck on their stick. 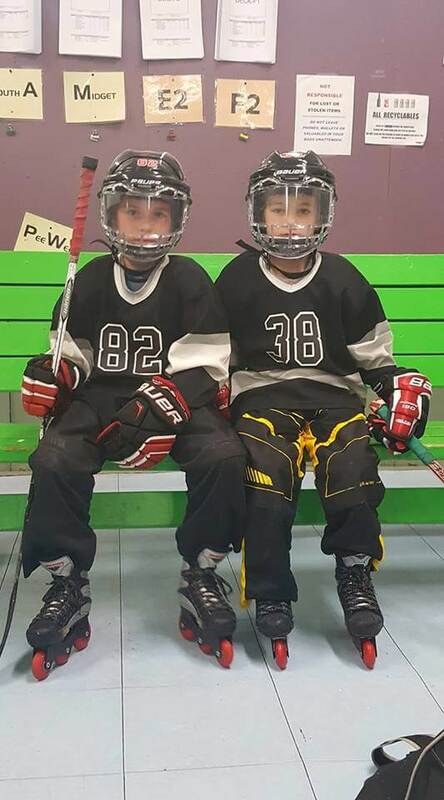 During the summer, I've had my two oldest register to play in a Roller Hockey league. The talent level is all over the place from the quite gifted kids to, well, kids that'll likely stick at the recreational level until something else interests them. The number of kids coming from the ice is suprisingly low but, boy, do they ever stand out. And for those kids that already seem to have an extra gear in their stride, it's a gold mine for working on their stick handling skills and, frankly, boosting their overall confidence while handling the puck. Best way to practice is against something that moves...but also won't easily poke check it away every single time like adults generally would. Three or four really lax defenders are perfect. The fact that they have to do it with a ball that bounces around a lot more than a puck makes it an even more effective drill! So, yes, it flubs up their skating a bit but not to the point that they can't get back in the right rhythm after a single practice on ice. That one negative, though, doesn't outweigh the positives that roller hockey brings to the table. We've had a few coaches say that it's a bad idea to play roller. We've had also one coach say, "Hey, hockey is hockey." The latter coach is right. Roller hockey, without a doubt, has improved my kids' stickhandling skill and boosted their confidence with the puck on their stick...and that part carried directly over to the ice. If you haven't yet, I'd suggest looking into a roller hockey league to use as an inexpensive "skill development" type of thing during the off-season. Doesn't hurt that the kids have fun playing too. In hindsight, I should have played more roller as a kid... my stick handling skills are still terrible. For the folks in Connecticut, the Plainville Indoor Sports Arena (PISA) runs a small but pretty good program at the youth levels. It's not top end talent, by any means, and some of the games are lopsided but if you're reading this, my guess it that you're not looking to be molding a "legend" on wheels anwyay. Like Spring Hockey -- it doesn't really matter what the score is. 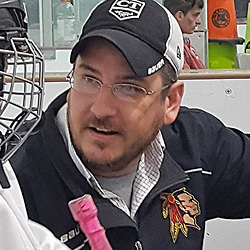 As an ice hockey parent, take it for what it is -- an intermural rec league level type thing to boost confidence and make your hockey player better during the off season.